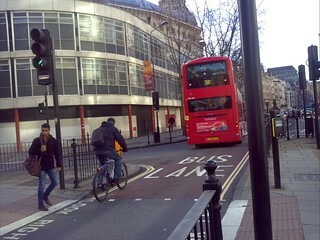 junction of Bloomsbury Way with New Oxford Street / Museum Street”. 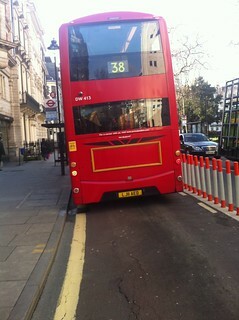 ‘wands’ along the edge of the bus lane to prevent this. 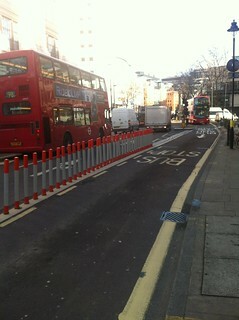 wands were installed in time for this morning’s rush hour. easy as it was with one bus at the stop. suspended on a high post close to Bury Place. 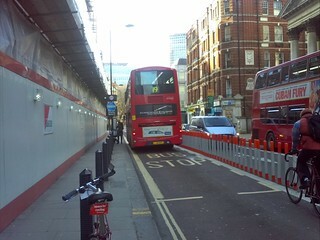 First step towards Clerkenwell Boulevard? In case you are behind with the news, you can read about Clerkenwell Boulevard. progress would be made. 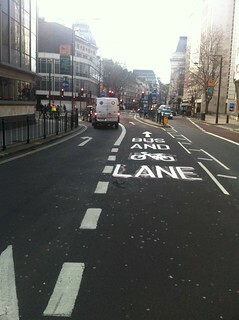 Therefore the white vans and other private motors should be restricted to access only.